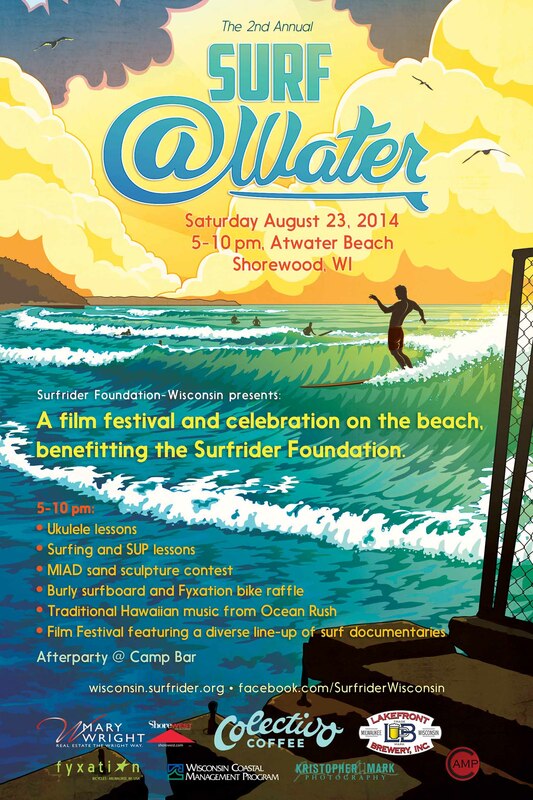 Surfrider Foundation- Milwaukee had another great summer of events. 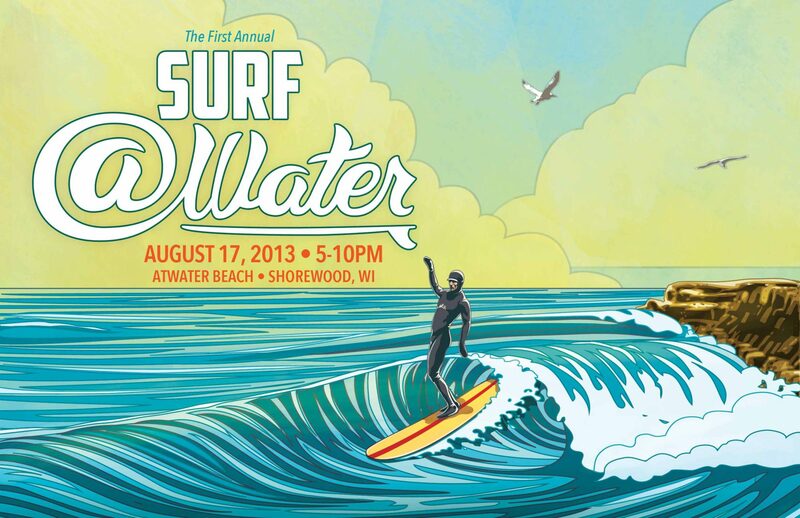 I had the opportunity to create the design materials for the events, which included the 4th annual Surf @Water, a day-long celebration of Great Lakes surf culture on the beach in Shorewood, WI! Here’s the Surf @Water 2016 poster. 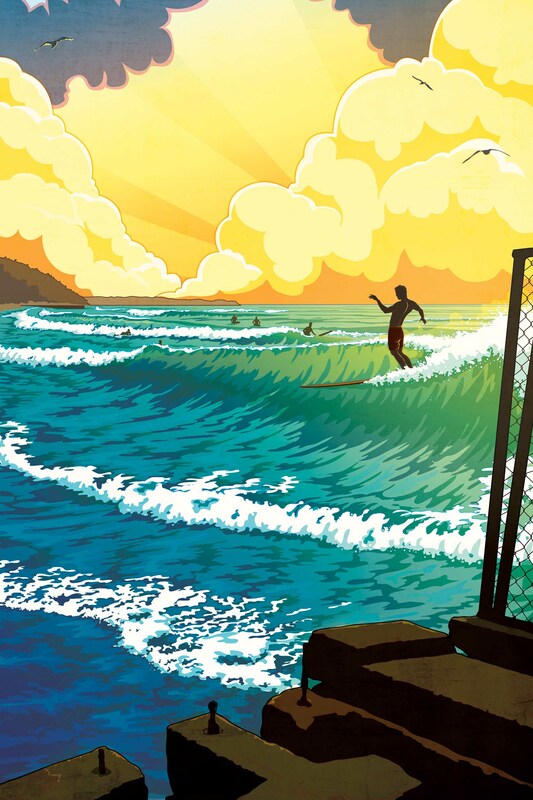 You can order prints of this poster at LakeLuster, on online shop featuring freshwater and surf-inspired art. As a member of Surfrider Foundation Milwaukee, I handle the design portion of our Milwaukee chapter. 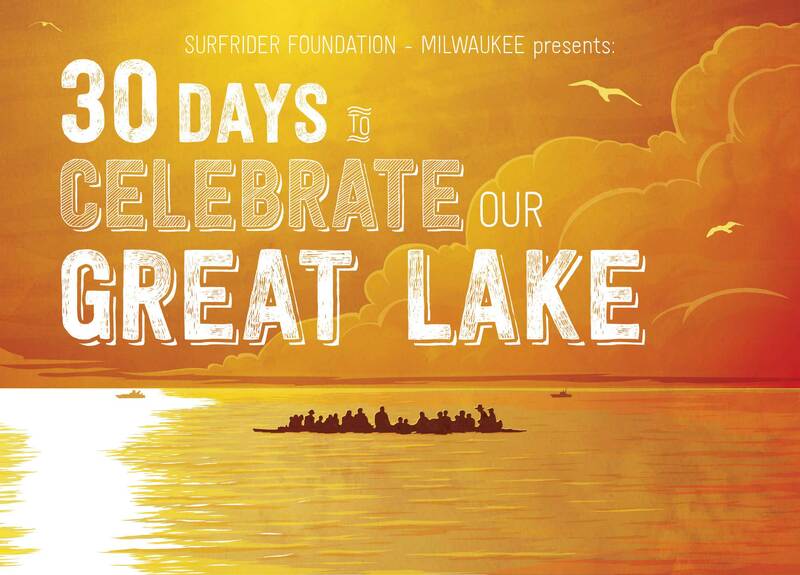 This summer, with the launch of the new website, we also rolled out our 30 Days to Celebrate Your Great Lake campaign. Here is the Surf @Water 2015 poster, Surfcraft & Draft poster, Contained in Water poster as well as some other design materials I created for our summer events. 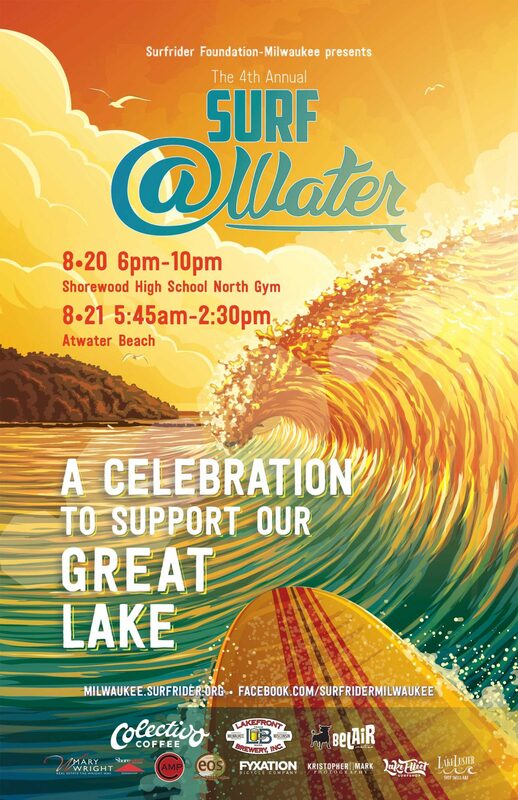 You can purchase prints of the last three Surf @Water posters at LakeLuster.com. 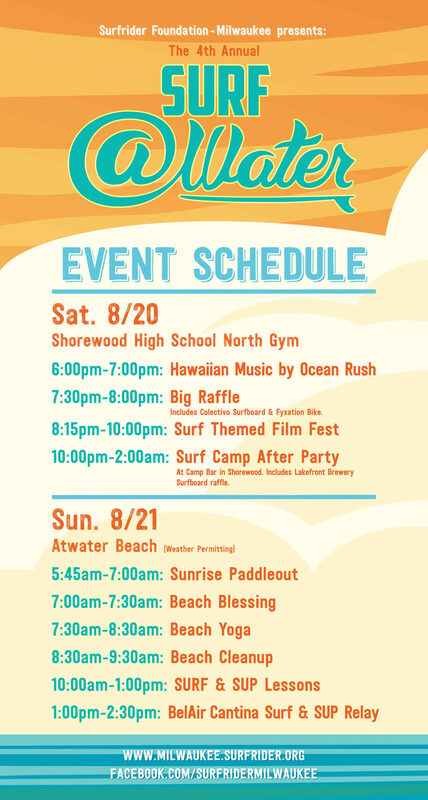 Mark your calendars for the 2nd annual Surf @Water, a surf themed film fest and celebration on the beach benefitting the Surfrider Foundation. 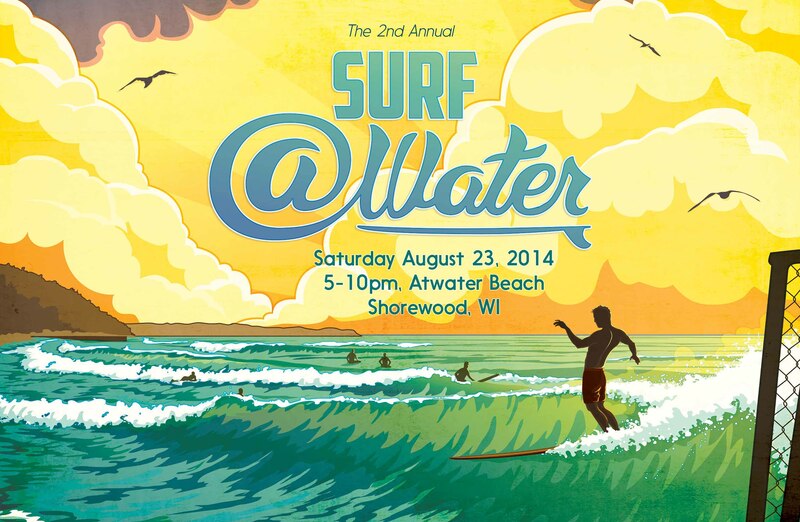 The event is Saturday August 23, at Atwater Beach in Shorewood, WI. Here’s the official event poster I created for the 2nd Annual Surf @Water. Be sure to keep an eye out for these, as well as event flyers around town. You can find prints of this, and the other Surf @Water posters at LakeLuster.com. Here is a promo flyer I created for the event. 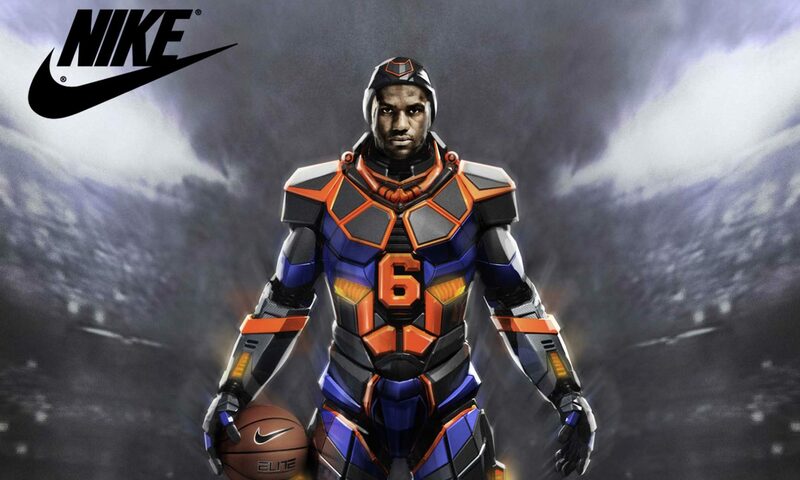 We are waiting for a few more sponsors, then I will post the full poster. Here’s a version of the poster that features the illustration. 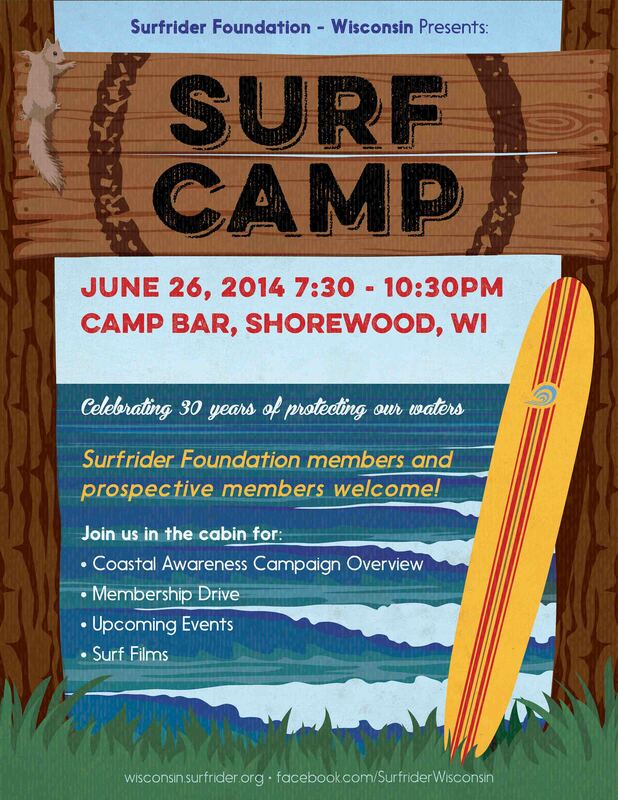 Here is the poster I designed for Surfrider Foundation – Wisconsin’s Surf Camp, which will be a meeting/ mixer for members and prospective members June 26th at Camp Bar here in Shorewood, WI. If you are in the area, you should join us! 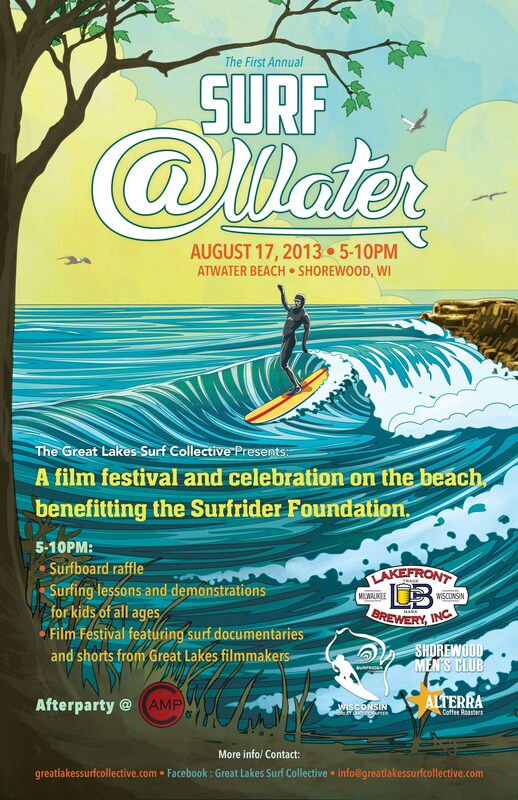 I recently designed the event poster and logo for Surf @Water, a Great Lakes surf-themed film festival and celebration on Atwater Beach in Shorewood, WI. You can purchase prints of these posters at LakeLuster!